Florida contractors can prepare in advance by keeping New Year’s resolutions. Many people make New Year’s resolutions, and this can be a positive way for Florida contractors to start the year fresh. 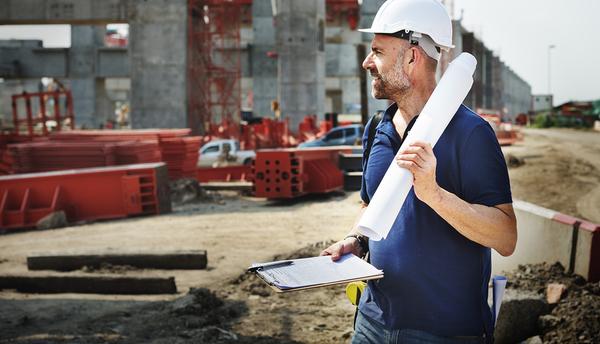 From keeping up with the latest rulings on employee safety requirements to looking for ways to increase profits, there are many contractor classes that can help. Because contractors must take continuing education courses to be relicensed, taking care of this prerequisite early on can be beneficial, not only to get the requirement completed early but to increase skills. Florida contractors know that the weather in their state is changeable and can be further complicated by hurricane season. Preparing in advance, instead of waiting, can make a difference. Rework drains to direct water away from the site, fill ditches and cover openings in buildings. Provide protection for open roof areas and check ceilings. If a ceiling installation is planned and a big storm is on the way, it might be better to delay the installation until the storm has passed. Clean up all debris and trash because it could become airborne and cause damage. Lastly, assign more than one inspector to see that the job gets done. That way, nothing will be overlooked. Problems with downtime can be due to breakdowns with vehicles or equipment. That can cost a contractor money. Setting a schedule for regular inspections and assigning people to carry them out helps ensure that breakdowns will be less of a problem. One suggestion is to develop a plan for inspection that includes the areas that require checking, such as water levels, lubrication and defective parts that need replacing in equipment. A Florida contractor’s employees are the backbone of a business, and taking the time to talk to them in person can keep a contractor informed of potential problems before they get out of hand. By reaching out and building up employees, such as complimenting an employee on a job well done, it also creates a sense of satisfaction on the part of the worker. That can lead to more effort on the employee’s part and better business success. Some contractors may have too many employees to speak to each on a regular basis, but some effort can pay off in a big way. Planning ahead can save time and money. All Florida businessmen know that word of mouth is a good way to find new projects. However, one bad review from a client can offset many good reviews. In the New Year, strive to improve customer satisfaction, and look for ways that it can be improved such as being prompt with progress reports and open and accurate about costs. Keeping up with new safety and health regulations or options for providing the protection needed by workers is paramount to avoid injuries and health issues. Not only is it required, but laxness in utilizing necessary worker protection can adversely affect a construction business. Changes in the law, including the ruling by the Occupational Safety and Health Administration on worker protection to curb exposure to respirable crystalline silica, which goes into effect June 23, 2017, are important to understand and incorporate. The construction industry sees improvements in methods of construction and equipment on a regular basis. While all of these improvements, such as chilling equipment for excavations and excavators with a reduced tail swing, might not be practical for all businesses, some might be. Making improvements, replacing outdated equipment when practical, and looking for new ways to make jobs easier can save time and money. Florida contractors have to complete 14 hours of continuing education in order to renew licenses. This includes taking at least one hour each of worker’s compensation, Advanced Building Code, laws and rules, workplace safety and business practices. By taking our correspondence or online courses, a contractor can complete the necessary requirements conveniently. Our inclusive 14-hour package can save you money in addition and includes a one-hour course on Wind Mitigation Methodologies, a valuable topic for Florida contractors. Once courses are successfully completed, we notify the Florida CILB and provide you with a copy for your own records. To learn more about what we have to offer, browse courses by state find out more about Florida contractor courses or start course.